The Palestinians face a massive and unique challenge to their national security as a people under occupation and in exile across the Middle East and beyond. The absence of a Palestinian state means that security must be addressed from the perspective of the nation, rather than the state. This is the first serious attempt to address security issues from a Palestinian perspective, and to explore how it is possible to provide security to Palestinians without undermining the security of others. Its findings are relevant with or without a two-state solution to the conflict with Israel. The authors break new ground by focusing on Palestinian national security threats and challenges, as well as by seeking to provide the most appropriate means to defend the Palestinian people wherever they may be. 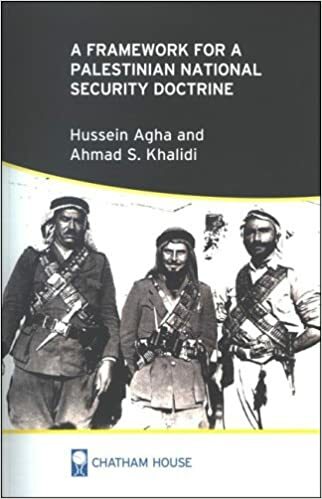 The book's ultimate objective is to lay the foundations for a formal Palestinian national security doctrine which could provide security for all the Palestinian people. The views expressed in this article are those of the author and do not necessarily reflect the views of the Institute for Palestine Studies. Support IPS’s efforts to advance the understanding of as well as documentation on Palestine, the Palestinians, and the Arab-Israeli conflict.